Home » Education » Does Swimming Build Muscle? Swimming For Muscles: Myth Or Reality? One very popular question is whether or not swimming can help to build muscle. In this post, we will consider how beneficial swimming is for you – not only for your overall health and for reaching your recommended daily activity level, but also for building up some muscle mass. 1 Can Swimming Help Me Build Muscle? 2 What Muscles Does Swimming Work On? 3 How Often Do I Need To Swim To Build Up Muscles? Can Swimming Help Me Build Muscle? Swimming has been a popular sport and activity for many years. 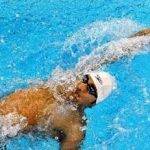 Top professional swimmers earn around $35,000 for a single gold medal they bring home, according to one report on ABC News. Swimming is not only a sport but can also be a great exercise routine. Let’s start by discussing whether or not swimming can be used as a physical activity to help increase muscle mass. To understand whether or not muscle building can be achieved through swimming, it is essential to consider how muscle building works. Muscle growth does not occur during physical activity – when you exercise, and you are actually causing tiny tears to develop in your muscles. Once you are done with the exercise routine, your body starts to repair these tiny tears in your muscles. During the recovery phase, muscle mass is built. The more tears that develop during exercise, the more muscle mass will be built following your exercise routine. The short answer to the question as to whether swimming can help to build muscle mass is yes – swimming is classified as a type of resistance training. Lifting dumbbells is another example of a resistance exercise. In addition to being a resistance training protocol, swimming also offers cardiovascular benefits. Swimming causes tears to occur in muscles – in turn, and this means that you can experience growth in muscle mass after a session in the pool. In addition to building muscles, swimming is also known to enhance significantly overall muscle endurance, which is very useful for future physical activities and events. 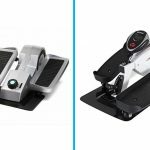 This improvements in endurance will not only produce improvements in future sessions of swimming but will also become useful when you participate in other types of physical activities. What Muscles Does Swimming Work On? Many people turn toward swimming due to the fact that this activity can work on multiple muscle groups at the same time. Let’s take a look at what particular muscles in swimming works on, as well as what type of swimming workouts are known to target certain muscle groups more effectively. The Breaststroke swimming technique is known to put a large emphasis on the thighs, which provides an excellent workout for the muscles contained within your thighs. Many other swimming workouts can also help to build larger and stronger muscles in this particular area of your body. At the same time, the Breaststroke also works on muscle groups other than the thigh muscles simultaneously. The abs and chest muscles are often primary areas of concern amongst individuals who wish to build better muscles. The majority of swimming techniques are known to benefit the muscles located in the abdominal area, as well as work on the chest muscles. 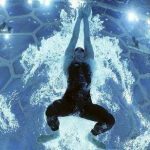 One particular swimming workout that has a much more significant impact on these two muscle groups is the Butterfly technique. Both the biceps and the triceps are often considered just as important as the abs and chest, especially amongst men who are looking to build a large, masculine physique. 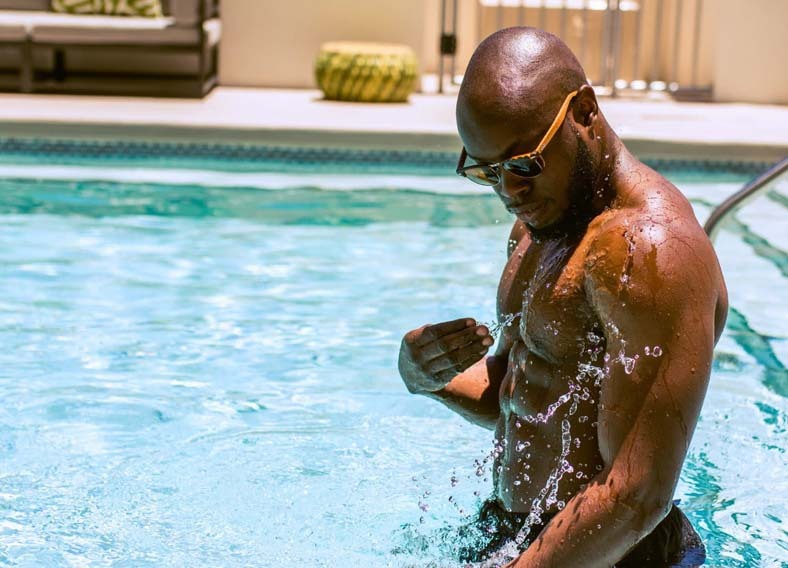 Luckily, swimming also takes care of this, by ensuring both biceps and triceps are placed under stress during each session; thus resulting in muscle growth in these areas. Freestyle is one of the best swimming techniques for focusing particularly on the biceps and the triceps. Another important group of muscles that are targeted through swimming is the Latissimus Dorsi Muscles. These muscles connect the vertebral column and the upper extremities together. They are important in normal human movement and can also give you that toned look on your back. How Often Do I Need To Swim To Build Up Muscles? Swimming is both a cardiovascular and resistance training protocol, which brings the question – if you want to build muscle through swimming, how much and how often should you swim. Since breaks are often taken while swimming, to achieve the recommended amount of cardiovascular activity on a weekly basis through swimming, it is recommended to plan for at least half an hour sessions on five days of every week. The longer you can last during a single session, the better results you will achieve when it comes to building muscle mass through swimming. It should be noted that a simple 30-minute session may not offer you the results you are looking for when trying to utilize swimming for the purpose of increasing your muscle mass. Thus, try to aim for a minimum of 45 minutes per session. You should, however, start out slow. As your endurance levels rise, you can start to increase the time of your sessions. 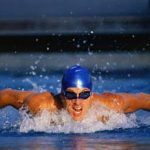 While swimming is not a particular activity that comes up when discussing bodybuilding, it is important to note that this activity does hold many benefits that are often overlooked. As described earlier, swimming is known to work on a variety of muscle groups – different types of techniques and workouts also provide a more targeted approach to muscle building through swimming. Swimming also holds one particular benefit over more traditional bodybuilding activities, such as weight lifting – it offers similar benefits, but without causing as much strain to be placed on muscles and, of course, joints throughout your body. This is an important advantage to be taken into consideration. While swimming is certainly beneficial, it is vital to realize that swimming alone would most likely not help you gain a significant amount of muscle mass. Swimming can, however, be a great addition to your existing workout plan. Combine swimming with weightlifting and other endurance exercises for best results. You should also take into account that nutrition plays a vital role in the development of muscle mass. No matter how effective your workout plan, without the right nutrition, you will most likely not achieve the level of muscle mass you are aiming for. Consider both pre-workout and post-workout nutrition. After exercising, your muscles will rely on high-quality proteins to help repair the tears and produce improvements in muscle size. 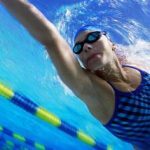 Now that we have taken a look at how swimming can be a great addition to your workout plan if you want to build more muscle mass, it is time that we consider both the pros and cons of swimming. While there are certainly many advantages that you can benefit from when choosing to include a daily swim session in your routine, there are also potential disadvantages that we want you to be aware of before you make a final decision. The top benefit of swimming is the fact that this activity does not cause as much stress on your joints as with weightlifting and many other types of endurance exercises. Swimming is also a great way to reduce body weight in overweight and obese individuals. You can burn as much as 943 calories in just one hour of fast-paced freestyle swimming. 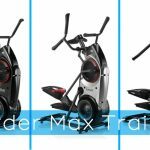 This can be very helpful as a lot of people who wants to build more muscle mass do need to lose a few pounds of fat at the same time. Swimming also greatly reduces the risk of overheating during exercise, a relatively common issue faced during both cardiovascular training protocols and endurance exercises. In addition to the benefits mentioned above, swimming has also been proven to help relieve both mental and physical stress. This can help to improve mental focus and even assist with reducing fatigue. The possibility of drowning would most certainly be the most important disadvantage to be considered. Many swimming pools are quite deep, and if you are new to swimming as an exercise, there is always that chance that you may sink instead of stay at the top level of the water. Swimming pools are treated with chlorine to keep them clean, but the chlorine is a chemical that may be harmful to you as a person. Chlorine has been linked to possible worsening of symptoms related to asthma as it can be inhaled when breathing during a swim. Additionally, chlorine can make your skin dry and also lead to possible allergic reactions. Another important disadvantage to consider is the possibility of getting water stuck in your ear. This can lead to a higher risk of ear infections. While swimming is considered a lucrative sport on the one end, it is a great opportunity for building muscle mass on the other end. Swimming is able to work on numerous muscle groups simultaneously and is great for building your triceps, biceps and, of course, your abs. Even though this physical activity has been associated with a number of potential benefits, it is still important to consider the possible disadvantages before deciding whether or not you wish to add swimming to your muscle-building routine.